We all need a little help sometimes. With the right approach, positive change can happen. Why not call us today, it’s a wise move. 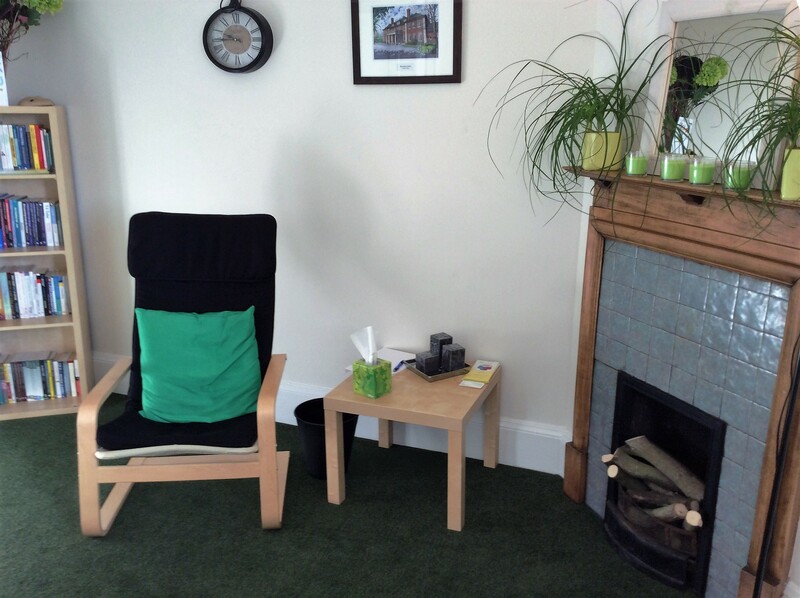 One to One Counselling in a warm, safe, friendly, confidential and non-judgmental environment. Stress can be useful in small doses as it can motivate you to do your best and to remain focused and alert. However, after a certain point it can lead to a feeling of being under too much pressure mentally and emotionally, it affects how we feel, think and behave. Many of life’s demands can cause stress such as work, relationships and money. Some common signs of stress include sleeping problems, sweating, loss of appetite, difficulty concentrating, irritability, feeling overwhelmed, isolated or depressed. Abuse can affect anyone from all walks of life. It can take the form of physical abuse, emotional abuse, sexual abuse or neglect. Bullying is also a form of abuse, which has a detrimental affect on a person’s life. Physical abuse can occur through hitting, punching, burning, scalding, choking, kicking, throwing, beating or other actions, which cause physical injury. Emotional abuse can happen through name calling, intimidating, humiliating, manipulating, criticizing and threatening which damages self-esteem and self-worth. Sexual abuse is any type of sexual behaviour which is not consensual or which is between an adult and a child or older child and younger child. Bereavement is a state of being which usually results from the loss of someone we love through death. Loss is the disappearance of something important from our lives such as the death of a person, loss of health, loss of job, loss of friendship, loss of home or loss of relationship and family life through divorce and separation. Grief is a natural reaction to bereavement and loss. Nevertheless, the experience of grief can be overwhelming and frightening, triggering feelings of shock, numbness, anger, guilt, loneliness, fatigue and intense sadness. Grieving is an individual experience which is influenced by many factors including cultural background, religious beliefs, age, personality and circumstances. All relationships and families go through difficult times as the family dynamic grows and changes. However, prolonged difficulties can result in conflict, insecurity and stress. This can lead to lack of communication, which may leave partners and family members feeling trapped, isolated, frustrated, angry or depressed. Relationship and family difficulties can be caused by difference in opinion, personalities, beliefs, goals or personal circumstances. These include financial problems, unemployment, moving house, illness, lack of trust or a change in family circumstances, for example the arrival of a new baby, children becoming teenagers, or the blending of families. Feeling sad or ‘fed up’ from time to time are common reactions to the ups and downs of life and these feelings usually pass. However, depression is characterized by persistent feelings of sadness or low mood. These feelings can become so overwhelming that they interfere with a person’s ability to carry on with their normal daily lives. Depression is not a sign of weakness, it can happen to anyone, sometimes the reasons are obvious and sometimes they are not. However, certain risk factors can contribute to depression such as genetic factors and early life experiences, which make some people vulnerable. Distressing life events for example; divorce; bereavement and losing a job can also trigger an episode of depression. Anxiety is a general term used to cover a range of feelings; apprehension, uncertainty, fear, nervousness and worry. It is a normal part of life, which we can experience from time to time when faced with something challenging such as an interview, exam or certain social situations. It can be useful in that it can make you feel more alert and protect you from dangerous situations. But for some people the level of anxiety can become so bad that it dominates their lives and stops them from doing the things they want to do. Panic is defined as sudden, often unexpected, intense feelings of anxiety and fear. It is accompanied by physical symptoms, which include; sweating, hyperventilating, dry mouth, dizziness, increased heart rate and tense muscles. These symptoms are caused by the release of adrenalin into your blood stream, which prepares your body to take action either by running away or facing the danger. Self-harm is a way of intentionally causing physical pain or injury to one’s own body. It is a way of releasing and expressing deep, emotional distress, which can’t be put into words or thoughts. It can also be used as a way of trying to gain some control, as a distraction or as self-punishment. However, the relief is only temporary as the underlying issues still remain. Self-harm can manifest itself in a number of ways. For instance cutting, burning, scalding, hitting, punching, scratching, head banging, hair pulling or self-neglect. Self-harm can also show itself indirectly in the form of alcohol and drug abuse, smoking, risk taking behaviours and eating disorders. Commonly, it can be linked with other issues such as depression, anxiety and low self-esteem. Self-confidence is defined as a belief in oneself and ones powers or abilities. Self-esteem is about a person’s overall sense of self-worth or self-respect. The two are closely linked but not necessarily connected. Confidence is about how we present ourselves to the world and what we achieve where as self-esteem is how we feel about ourselves inside. When self-esteem is low resilience in the face of life’s challenges is diminished. A person with low self-esteem views themselves in a more negative light, tending to focus more on their mistakes and weaknesses. Where as a person with high self-esteem will hold a more positive belief about themselves and this helps to protect them against the knock backs in life. Negative experiences in childhood can damage self-esteem creating a sense of self, which does not feel valued or important, therefore developing a negative core belief about oneself. Additionally, negative life changes in adulthood can shake and damage self-esteem.